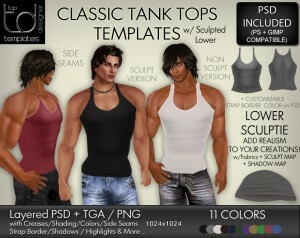 Create great-looking tank tops with the Classic Tank Top Template Pack. In TGA/ PNG + Multi-Layered PSD Formats. Includes Sculpted Lower to Add Realism to your Creations! Make your own Open Mini Dress with Sequins Tops with you as the creator. 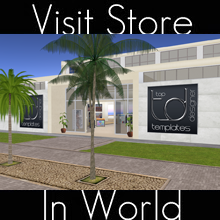 You can add your designs or sell them ready to wear as is. Package includes Open Mini Dress, Sequin Tops in 2 different designs. Both tops in 5 colors and can be easily changed to any color inworld. 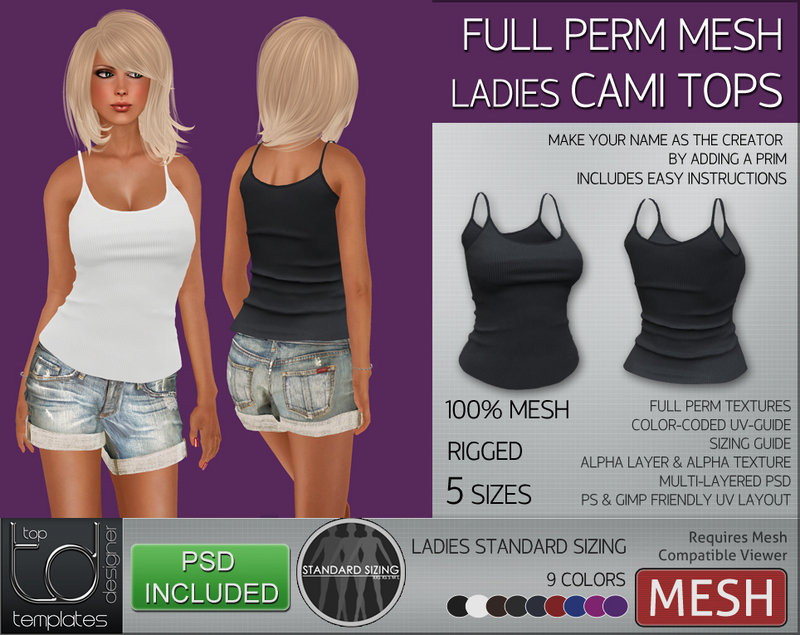 Customizable PSD files showing all layers including sequin fabric samples. Class it up this winter with this stylish Floral Jacket Set. Floral Jacket can be tinted easily in world or with tga or psd. 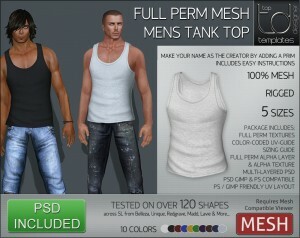 Comes with sculpted sleeves and lower, sculpt maps and textures included. Teams up with beautiful white linen pants and tank , both with easy color change. 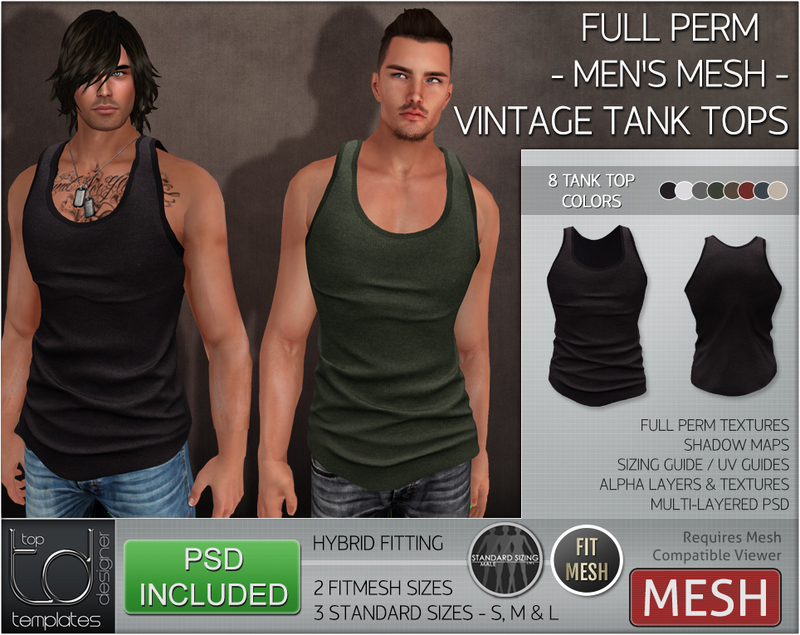 TGA, ready to wear, multilayered PSD. Fabric samples included. TGA, PSD and ready to wear. Make your own tops and ripped jeans!. With you as the creator. You can add your designs to them or sell them ready to wear as is. Top and unisex Jeans (suits both men and women), awesome ripped up jeans, high detail, easy fit. Get in quick! 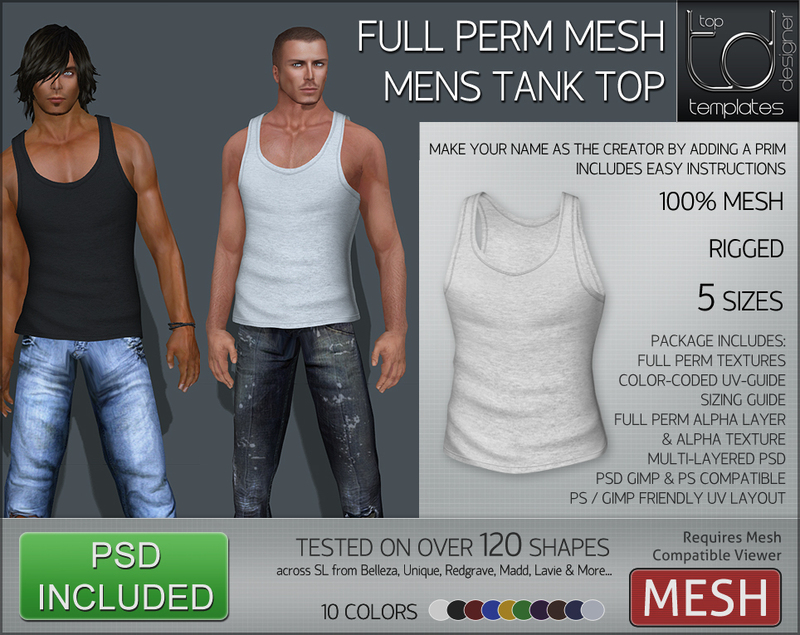 TGA, ready to wear, multilayered PSD.